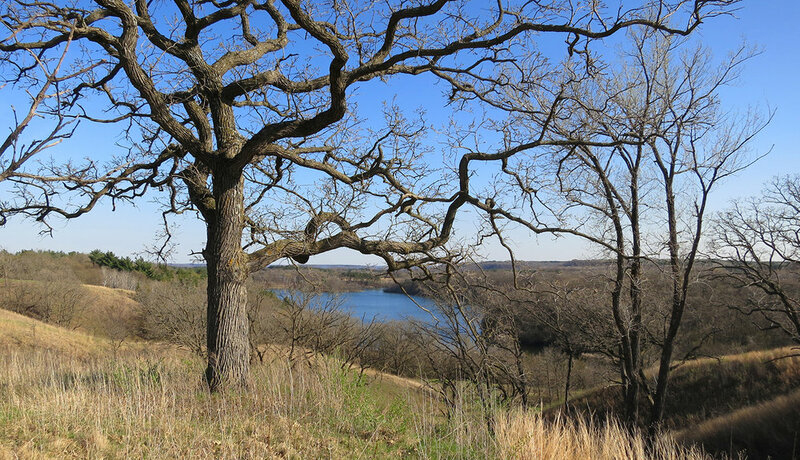 Belwin Conservancy, a private non-profit, aimed to explore creative uses for a splendid 300-acre wetland and oak savanna landscape including a complex of notable Modernist residential buildings. The organization envisions a center for nature and art that enables diverse experiences of this unique landscape. The Master Plan has two dimensions. 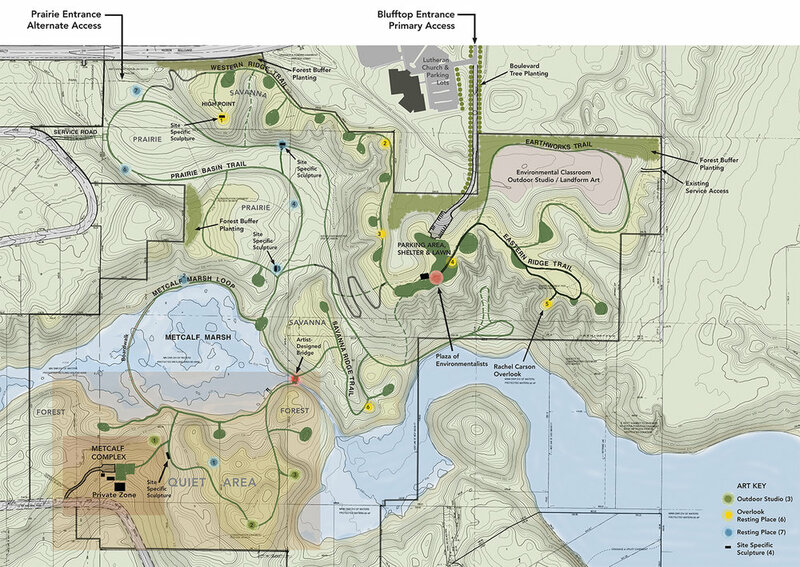 Design options were fleshed out for entrance locations and access, parking, a shelter building, and trail systems with overlooks and resting places. The Plan also illustrates how artistic practice could be integrated with the landscape through site-specific art, artist-designed gathering and resting places like the Rachel Carson overlook dedicated to this early environmentalist, and outdoor studio spaces for visual artists and writers. An environmental classroom for landform art was suggested for a former gravel pit. Art examples were provided along with a preliminary development budget. 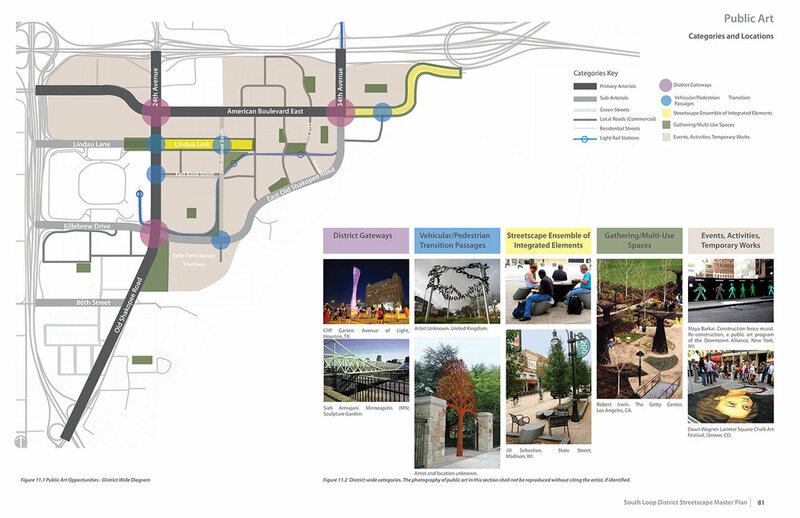 Public Art chapter embedded within plans for a new district east of the Mall of America discusses conceptual approaches for integrating placemaking and public art into streetscape planning and design. Opportunities are illustrated on plans including photographic examples. With this information, the City of Bloomington pursued the next step: successfully securing a significant National Endowment for the Arts – Art Place America grant to develop a public art plan and produce demonstration projects in the district. The Western Park Neighborhood west of the State Capitol and south of University Avenue resulted from the construction of Interstate 94 in the 1970s and “slum clearance” urban renewal efforts that split the Rondo Neighborhood. In 1998, Public Art Saint Paul (PASP), a private non-profit arts organization working with the City of Saint Paul developed a leftover vacant parcel into Western Park, a venue for the display of sculpture. During 2002-2004, PASP conducted a comprehensive urban design and landscape assessment of the physical, social and economic impact of what is now known as Western Sculpture Park on the diverse surrounding neighborhood and how this asset could be more useful to the community. This forgotten neighborhood had been left out of most existing plans and the Assessment’s scope expanded to remedy the situation. I summarized and critically analyzed existing plans for the University Avenue corridor, surrounding neighborhoods, and parcels controlled by the State of Minnesota, and produced base-line documentation and maps of businesses, parks, residences and physical conditions in the public realm including green infrastructure. I employed Saint Paul Design for Public Safety: A Guide for Making a Safer Public Realm with principles built upon Community Policing Through Environmental Design (CPTED) and assessed the quality and safety of green infrastructure and connections between Western Sculpture Park, Central Village Park and the playing fields at the Ober Community Center. Mapping and photography identified hot spots, hazardous conditions and places lacking surveillance, considering how children typically navigate the neighborhood to access the parks and playing fields. The Assessment was overseen by a neighborhood advisory committee and the recommendations in the final document were used by PASP to determine arts programming for the park and by the City for land use decisions and streetscape improvements, especially on Western Avenue.